On Wednesday 15th March, students from schools across Scotland will travel to Edinburgh’s Quincentenary Conference Centre to participate in the first ever Scottish event organised by Apps for Good, which will celebrate the future generation of digital makers. This inaugural Scottish event has been made possible after being awarded a grant from Digital Xtra, funded by the Scottish Government Digital Skills Business Excellence Partnership, who have provided Apps for Good with support to help us grow our after-school activities in Scotland. The event will bring together some of Scotland’s brightest young digital makers and entrepreneurs under one roof in the heart of Edinburgh’s city centre for a day of networking and skill development workshops. The teams of young people have been working to create apps to tackle the problems and issues that matter most to them. At the event, the students will be showcasing their products, participating in workshops to hone their skills and getting feedback from top industry experts in Scotland. Representatives from Scottish technology companies have volunteered to deliver four master-class workshops to attendees. Jamie Sutherland from Mallzee will speak about the importance of getting feedback from customers. Carole Logan from digital agency Equator will show the young entrepreneurs how to build digital prototypes. Katie Lyne from CivTech will share real world examples of product development and creation, including the triumphs and failures. Phil Worms from Digital Xtra will speak about putting together a perfect pitch. These workshops mean the young people will get a great insight into what it takes to make it in tech in Scotland from those already working in the industry. The invited industry guests have been chosen to reflect the diversity of Scotland’s burgeoning and dynamic tech community, and students will have the opportunity to pitch their app idea and gain advice and feedback from the invited guests during the Marketplace part of the event. The event will culminate with the invited guests casting their vote in our People’s Choice Awards which will recognise the top three teams. Apps for Good’s journey in Scotland began back in 2012/13 when its app development course was delivered in 5 centres including, Wick High School, Wick (Highlands); Calderglen High School, East Kilbride (Glasgow); and, Fife College, Kirkcaldy (Fife). In the years that followed, Apps for Good is proud to say that it has gone from strength to strength in Scotland. During the 2015/16 academic year 133 schools and learning centres delivered our app development course across Scotland. Apps for Good aims to unlock the confidence and talent of the next generation of problem solvers and digital makers: young people who are ready to tackle the 21st century workplace and are inspired to create real technology products that can change their world for good. 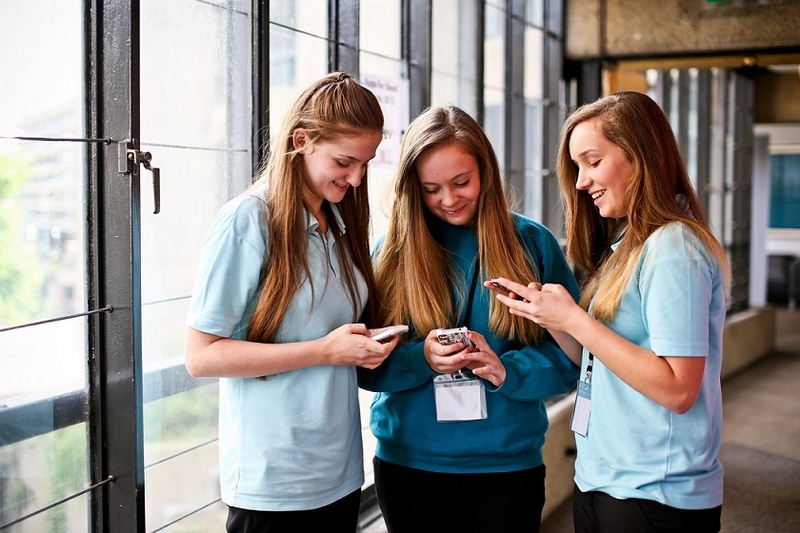 Since launching in 2010/11 Apps for Good has been delivered in over 1,500 schools to more than 75,000 students. Apps for Good is a registered charity and is supported by partnerships with companies and foundations who share their vision of improving technology education. Corporate partners include technology leaders Thomson Reuters, Salesforce.org, Nominet Trust and Samsung to name but a few. The Digital Xtra Fund is seeking a Partnerships & Development Manager on a 6 month contract. The Digital Xtra Fund launched in May 2016, as part of a wider programme of activity dedicated to developing digital skills for young people across Scotland, and supports the objectives of the Digital Technologies Skills Investment Plan developed by Skills Development Scotland in 2014. Year 1 of Digital Xtra has been hugely successful with feedback from awardees and partners being very positive. We would like to build on this success by developing the business model for Digital Xtra and establish it as a Scottish Charitable organisation, and we are seeking an ambitious individual to manage and develop the transition from a publicly funded programme to an independent entity with a wide range of sponsors. The Digital Xtra Fund wishes to appoint a Partnerships & Development Manager who is passionate about fundraising and committed to making a real difference in supporting young people across Scotland to develop their computing and digital skills. You will be a confident ambassador for the organisation, and capable of delivering funding growth year on year consistent with the values of Digital Xtra Fund. You will need to use your experience, networks, initiative, creativity and proven income-generating skills to ensure the success of the Fund’s ambitious plans for income growth. The position is for a 6 month contract period but it is expected that the position will become a full time permanent position. Interested applicants should send a copy of their latest CV to info@digitalxtrafund.scot by 5.00pm on Friday 3rd March 2017. Each year the Scottish Technology Industry Survey provides information on the health of the digital technologies industry in Scotland including data on skills, education and the issues facing employers in finding the right talent. Commissioned by trade organisation ScotlandIS and supported by recruitment agency NineTwenty, the survey measures the industry’s current size, performance and development and provides intelligence for many organisations in both the Scottish public and private sectors. As a respondent you will be one of the first to receive the results once they are available. 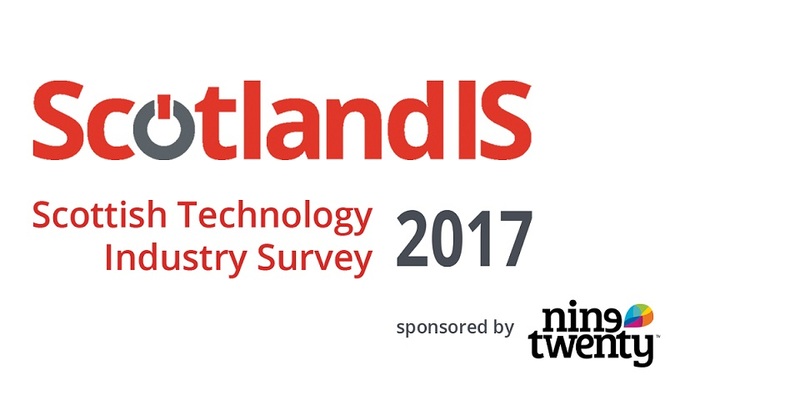 The survey will be published the ScotlandIS website and it is expected that it will be widely reported on by media outlets. Last year’s report is available here. The survey has been designed to be completed in around 10 minutes and includes questions on your company details and business performance (e.g. sales, profit margins, exports, skills requirements) . CEOs, MD’s and other senior staff will find it easiest to complete the survey.